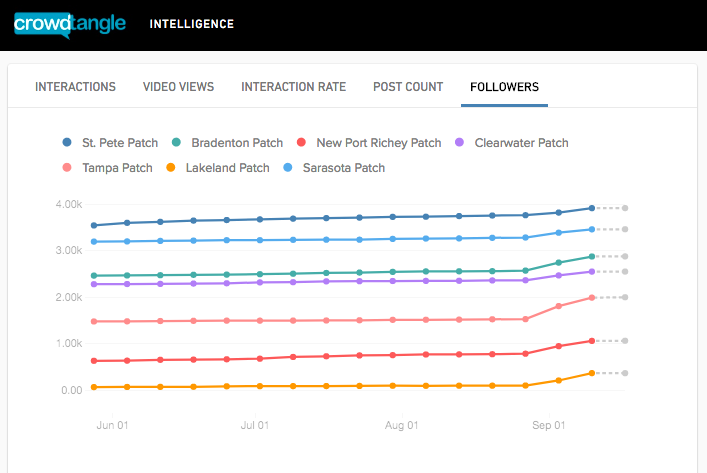 A look at Patch’s Facebook follower growth in Florida during Hurricane Irma coverage. The CrowdTangle platform allows Patch to track all of their thousands of pages in a single glimpse, as well as give their editors an edge in sourcing news in smaller locales across America. “CrowdTangle has given us the ability to track follower growth and interactions by page, by region, and by state, which has been key to identifying our most successful social media practitioners in the field,” Patch editor-in-chief Dennis Robaugh says. Dennis explains that engagement and growth drive Patch’s social strategy. CrowdTangle has helped consolidate and execute that strategy. Here are four ways Patch is using CrowdTangle to succeed on social media. 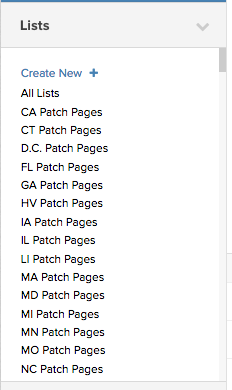 Regional Lists help organize Patch’s social media pages for tracking and reporting. For internal reporting, Patch tracks everything through lists they’ve set up in CrowdTangle around all their social accounts. These lists are organized by region so Liana and her team can easily compare social performance across those audiences. 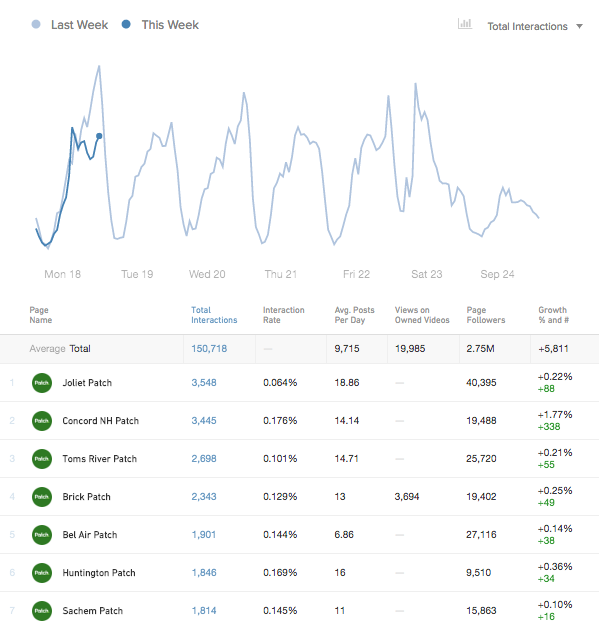 They use the data in these reports to answer various questions around social strategy. Digests to show what is and isn’t working. Viral Alerts to track trending news. Remember it’s not just for Facebook: “Most recently, we’ve been testing out Instagram digests (customized by region) to monitor what’s trending and Leaderboard reports to track internal owned video views across all our Facebook pages,” Liana says. Leaderboard data for Patch’s top Facebook pages by total interactions for a 7-day period. Over the last two years, Patch has added almost 1 million new Facebook followers — a 50 percent increase. For Patch, CrowdTangle’s Leaderboards are the most efficient way to track follower growth across their abundance of accounts. “It’s truly life-changing to pull follower growth data for 1,200+ Facebook pages in 2 minutes,” Liana says. 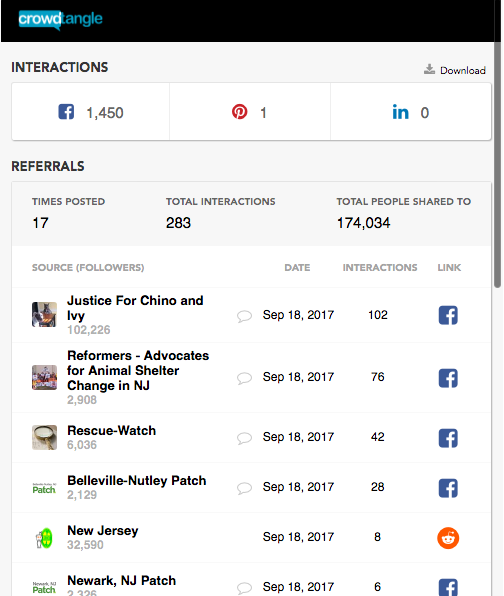 A look at the Facebook and Reddit pages that shared a local Patch story using CrowdTangle’s Chrome Extension. The CrowdTangle Chrome Extension can best be used to see what networks a specific URL has been shared to. Social editors can use it to see where content is getting huge engagement; reporters can use the tool to see who has shared their story. The Chrome Extension has been critical in tracking Patch’s social media.